It's no secret that gaming community managers are an elite group of professionals. They have to contend with the most active and demanding audiences of consumers in the market: gamers. From casual games to MMOs, gamers have strong opinions, are vocal and can make or break a game's success. We approached a dozen of gaming community management leaders across game types, from mobile, casual, AAA and indie studios. We've combined their experience into our first gaming-centric Gaming Predictions ebook which you can download here. From their expertise, eight key trends emerged. 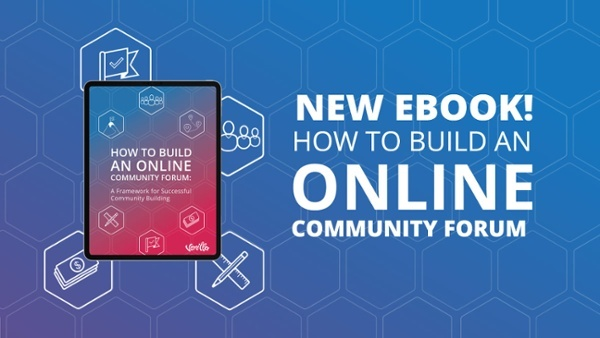 From bolstering important personal skill sets, strategies, tactics and attitudes, gaming community managers all share the same perspective: communities are vital to the success of their games. Eric Campbell, Community Program Lead at EA shares that the tactics used to show the business impact of their position as gaming community managers will need to be updated to be more relevant to the business. Inspired by Richard Millington's latest webinar with Vanilla on the subject of Escaping the Engagement Trap, he makes a strong case for tying back the purpose of the community to the business. Define what matters the most to the management layer in your studio. Dig deep and understand what are the key performance indicators for your title. Is it DAUs, MAUs, DLCs, registrations, monthly sales, etc? Don't just guess, involve your direct manager, marketing, production, the executive management team. What makes them tick? What keeps them up at night? Vanity metrics such as page views, likes and shares don't matter if they can't be tied back to the studio's bottom line. When you can connect the dots between the game's KPIs and your community, two things happen. First, you demonstrate that your community has a direct impact on the studio's bottom line. The second thing is that you have access to more resources, be it people, time, and/or money. These then drive your ability to create more momentum through events, campaigns and further build out meaningful engagement for the studio through your players. Andrej Raider, Senior CCM at Travian Games, shares that studios have to invest in business training for their community managers. Gaming community managers often land into the position serendipitously, often as dedicated gamers themselves. Their passion and enthusiasm for the game gets the attention from the studio management and they get offered a job as a result. But this doesn't guarantee that the community manager is equipped with the right skills to think strategically. Or even have business considerations in mind when approaching their new role. Studios that invest in providing ongoing training for their community management team will be reaping benefits for years to come. These skills focus efforts on business objectives and outcomes. This goes hand and hand with changing how to demonstrate true ROI. It's a known fact that players are vocal, and direct. What they dislike the most is being "talked at" and getting served sterile marketing copy as a means of communication. There's nothing there to build rapport and it just leads to a frustrating experience which can alienate even the most fervent of players. Paul T. Crowther, Community Manager for Frontier Development believes that true success for gaming communities next year will revolve around transparency. Transparency works best when combined with honest and friendly dialogue with players. This means being comfortable with taking feedback from players but also giving clear responses on what the studio will and won't do. 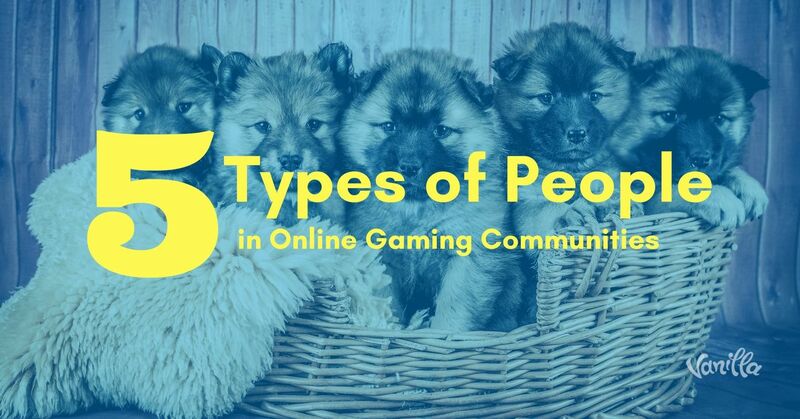 If a player shares the same interests as millions of others, does it make it a community? Would they all be able to speak to each other and relate? Or would they feel like they're speaking into an agora full of people talking at the same time? Jackie Cole, Community Manager for a major AAA studio, predicts that people will be returning to smaller groups that speak directly to their interests. 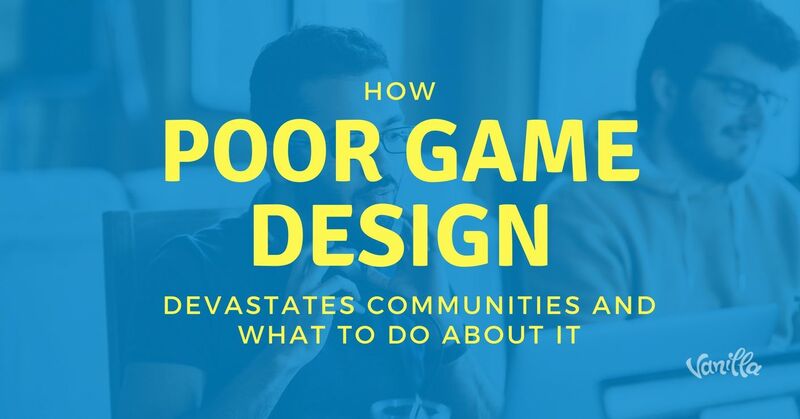 This means that players aren't interested in participating in noisy spaces that aren't focused, and they actively seek to avoid toxic environments. And she predicts that this will directly lead to building a responsible and respectful player community. If you have the privilege of having a large community, think of ways you can break them out into smaller more intimate groups. MMOs naturally break out players into clans and teams, and this is where durable connections are made. Players have a natural tendency to self organize into smaller groups, it's your responsibility as a community manager to provide them that space. Katie Fleming, Community & Social Media Manager formerly at Behaviour, thinks that the future of gaming community management will depend on actioning player feedback, specifically when it comes to feedback gathered at the Early Access stage. It's the very basis of "growth hacking" but for gaming. Agile SaaS organizations apply this principle by being iterative in their go to market approach. Think of Early Access as a means to transform what would be critics into active contributors and stakeholders for your studio. This does not mean that player feedback is not useful post beta. Far from it, player feedback is vital at every stage of the game's lifecycle. Geneviève Leblanc, Community Manager & QA at Clever Endeavour, goes further and believes that community management has to have a direct link to the development group and should even be an integral part of the team. With LiveOps extending the longevity of game titles, listening to your player base and continuously providing that feedback to the dev team will drive the ongoing success of your title. Most games today are released at work-in-progress, the best games are intentional and deliberate about implementing player feedback. 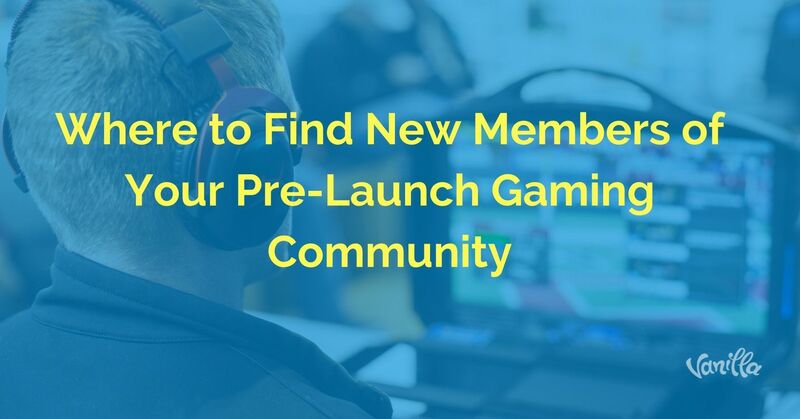 Patryk Grzeszczuk, Marketing Director at 11 Bit Studios; and Victoria Tran, Community Developer at Kitfox Games both agree, gaming community managers will have to be constantly on the lookout for the newest and latest channels where player congregate and organize. Driven by the rapid addition of new gaming social media channels like Discord, Line, and others signals the need for a highly adaptable and early technology adopter attitude. Agile community managers will seize the opportunity to engage with players on new channels. Agility also means flexibility to challenge your own assumptions. As Katie Fleming mentions in the ebook, one of her key learnings is that the assumed defacto channels to engage her players were not the right ones. She had to find them where they were and engage them there. Being able to break off from the original plan, adapting and improvising is key. 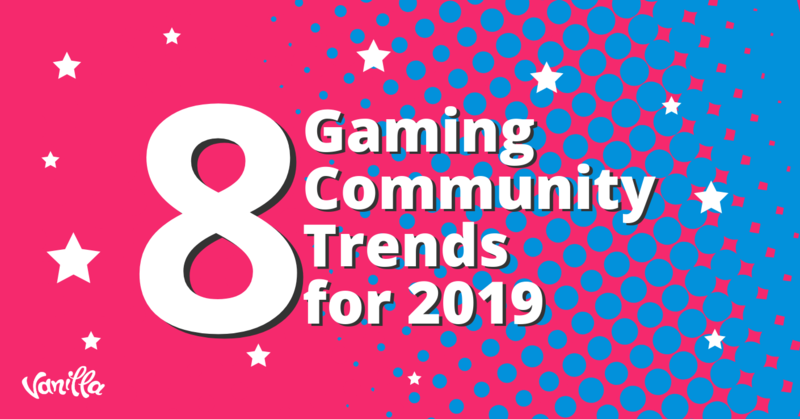 Karen Lee, Community Manager for Gameloft, believes that the future of gaming community management will be done through a more personal and daily connection with your player community. Authenticity and regular, near daily engagement with your community builds familiarity and ultimately, trust. Getting personal will also mean being authentic which leads to becoming a personality within you community. Gone are the days of hiding behind a generic persona. These two deliberate and intentional approaches to community engagement drives enormous payoffs for the game. Players feel more comfortable providing quality feedback that's from real spontaneous conversations. CMGRs who are comfortable being the face and voice representing the game and brand will be the ones who will thrive. Nick Van Vugt, Community Lead at Uken Games is no stranger to community management with seven years of experience. His key takeaway is that community managers have to be on the front lines of communication with players. Although the role is usually very reactive, communities where community managers also proactively engage their players will have an edge. Instead of perpetually putting out fires and responding to complaints, he believes that community managers that instigate feedback requests, engage players with upcoming event and game information and quickly respond when things don't go quite right will thrive.